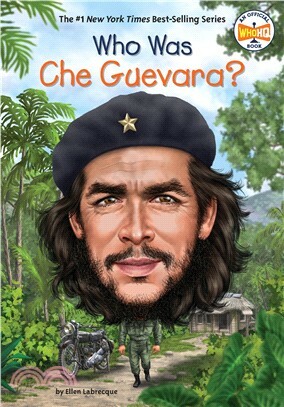 Find out how Che Guevara--a doctor turned communist leader and much more than a face on a T-shirt--ended up paying the ultimate price for his cause. His very image has become associated with a spirit of rebellion, but Ernesto Guevara--known around the world simply as Che--didn't dream of becoming a revolutionary. Author Ellen Labrecque takes readers on a journey through Che's life starting with his childhood in Argentina, to his travels through South and Central America as a young physician, and ending with his final years as a key player in the Cuban revolution. His legacy--as the author of The Motorcycle Diaries, a champion of the poor, and a force for change in Cuba--is both personal and political. Ellen Labrecque is a former Senior Editor for Sports Illustrated for Kids and the author of over twenty nonfiction books for young readers, including biographies of Jim Thorpe and Magic Johnson and a number of Who Was? biographies.